There is hardly anyone more loyal than sports fans and that is why tickets for sporting events are sold in such big numbers. If you are a sports fan yourself from Tucson, then get ready for an action packed season. Sporting events like Top Rank Boxing: Miguel Berchelt vs. Francisco Vargas, Tucson Sugar Skulls vs. Arizona Rattlers and Tucson Sugar Skulls vs. Iowa Barnstormers will take place in Tucson this year and the excitement level is high among fans right now. You can now get your sports tickets at very good prices from our website. 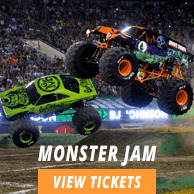 Watch sporting events in Tucson by getting 100% authentic tickets from our website. How much are Wwe Tucson Tickets? There are different prices for different seats. If you plan on watching your favorite sporting event live, then book your Wwe Tucson tickets now. Different sporting events like Top Rank Boxing: Miguel Berchelt vs. Francisco Vargas, Tucson Sugar Skulls vs. Arizona Rattlers and Tucson Sugar Skulls vs. Iowa Barnstormers among others will be held in Tucson at all through the year. Get your tickets now! Apart from Wwe, other sporting events like Tucson Sugar Skulls vs. Quad City Steamwheelers, Tucson Sugar Skulls vs. San Diego Strike Force and 2019 Arizona Wildcats Football Season Tickets (Includes Tickets To All Regular Season Home Games) will also take place in Tucson this year. Get ready to be a part of an action packed season. The average Wwe Tucson tickets will cost you $114 for the event being held on 28/01/2019 at Tucson Arena, Tucson, while minimum get in price is $65 on 28/01/2019. Where can I get the wwf in tucson schedule from? I want to know your refund policy on lost wwe tucson tickes? For complete details about Wwe Tucson Az Tickets and the entire schedule, please log on to our website or call us on our toll free number in case you need any further assistance. WWE Tucson AZ Tickets with us are not refunded if lost.